Pig-health management platform EveryPig today announced the release of its anticipated new antibiotic tracking and analytics functionality, allowing users to keep a close eye on their system-wide medication usage and compare it over time. The company will showcase this addition and its other state-of-the-art capabilities at the 2019 American Association of Swine Veterinarians Conference in Orlando, Florida on March 9. EveryPig's new antibiotics tracking tool allows for more judicious and transparent medication use - a key element in building accountability and trust in our food system. Swine health and production management tool EveryPig today announced the release of an all-new analytics feature that will allow pork producers to track their system-wide antibiotics usage and compare it over time. The new feature aims to decrease unnecessary antibiotic use by easily tracking the amount of antibiotics being used on a system-wide level. Users are also able to monitor usage by farm type in nursery, wean to finish, and finishing barns. EveryPig is the world’s first animal health platform that is dedicated to serving animals, producers, and consumers by improving animal health and increasing transparency in the food chain. Bomgaars and Mainquist will both present at the upcoming American Association of Swine Veterinarians Conference that will take place March 9-12, 2019 at Hilton Orlando Buena Vista Palace in Lake Buena Vista, Florida. What’s in a name? At Pillen Family Farms, our name reflects three generations of commitment to family, community and our pigs. As a Nebraska-based family-owned farming operation, we believe in maintaining an environment of respect — for one another, our pigs and our farms. We were founded on three key values and they continue to guide us today. http://www.pillenfamilyfarms.com. 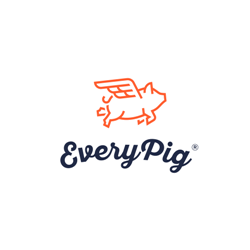 EveryPig is a groundbreaking management app for pig owners, producers and veterinarians. Created by people who truly understand the challenges of pork production, EveryPig is the only software solution of its kind that helps save pigs’ lives by recognizing health issues in real time. Utilized by some of the nation’s top pork producers, the sophisticated yet easy-to- use platform supports a wide variety of business models, legacy software integration, and can be installed on any device, including smartphones, tablets, and desktop computers. To learn more, visit: https://www.everypig.co.